Environmental Service - Associated Cleaning Services, Inc.
Environmental Tech is one of the industry names for custodian or janitor usually used in the health care industry. 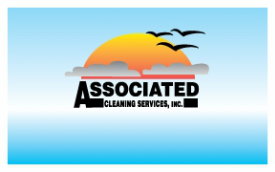 At Associated Cleaning our janitors are very important, they are responsible for getting the job done, they are our eyes when we may not be able to be at the account, and they are the front line in successfully completing a service. If you’re a hard worker and want a stress free job, this is the place. Most staff after training receive twice monthly reminder letters and monthly inspections to help you stay on track and the rest of the time you are on your own allowing you time to be at peace completing your task. Because you are on your own it allows you flexibility as to when you start and how you complete your day. This is our entry level position so the sky is the limit from here. Most people progress through as Leads and Floats but some move over to become Window, Floor or Carpet Tech and on occasion into office positions.